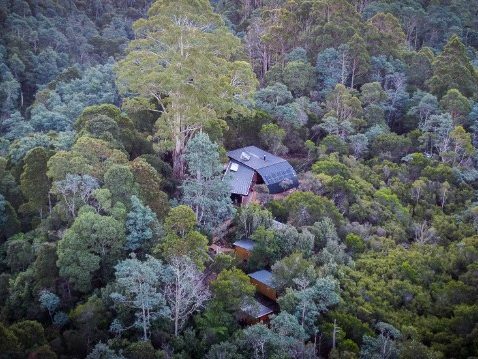 Within a temperate Tasmanian blackwood forest, alongside relics of a bygone mining industry, sits the Blue Derby Pods Ride (BDPR). 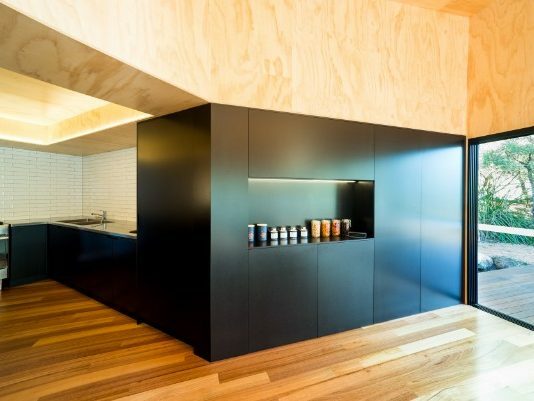 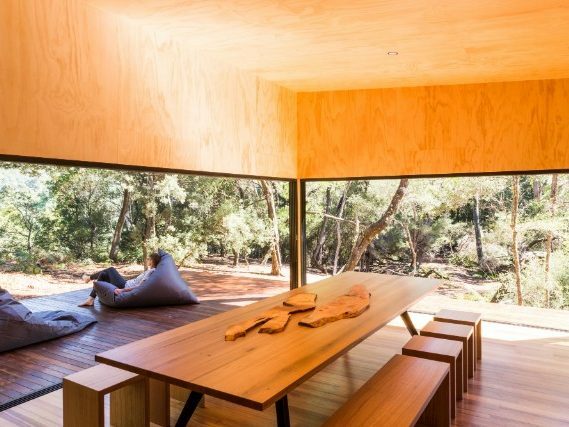 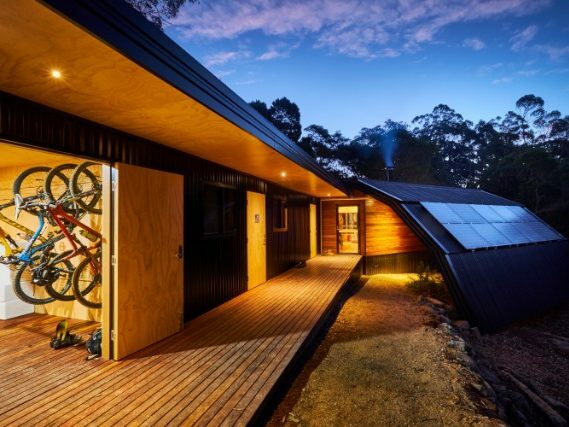 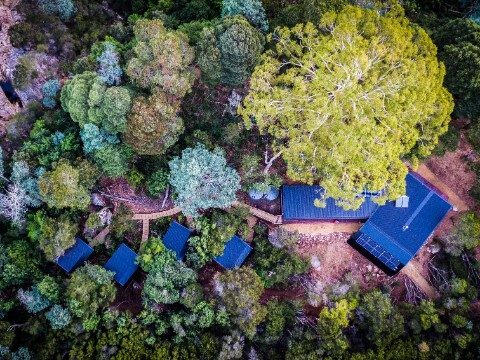 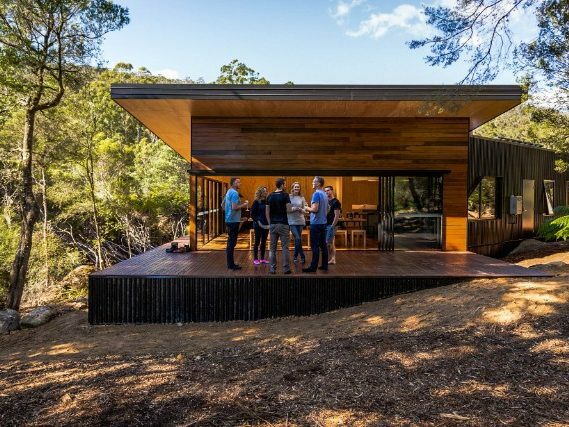 The development is a node in the emerging Tasmanian adventure tourism market, offering a guided mountain bike experience and completely off-grid boutique accommodation. 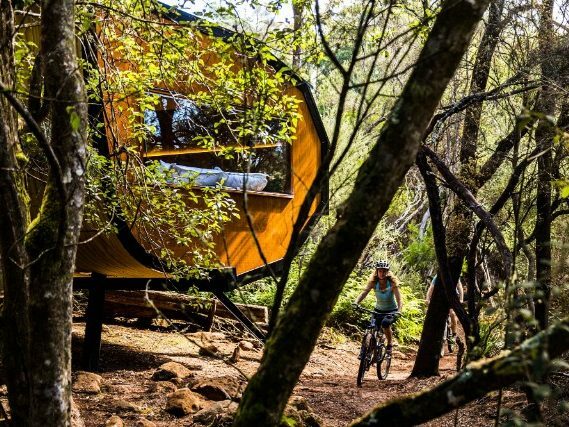 The BDPR is tapping into the mountain biking movement, which has swept across Australia. 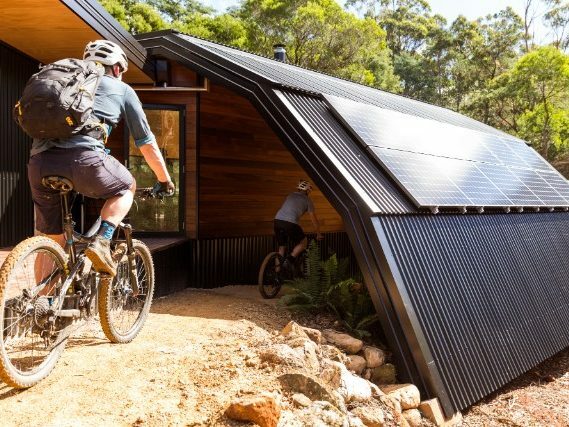 World-class mountain bike trails have been constructed in Derby and, through an explosive spike in visitor numbers, this has contributed to a process of renewal for the local community’s economy and infrastructure. 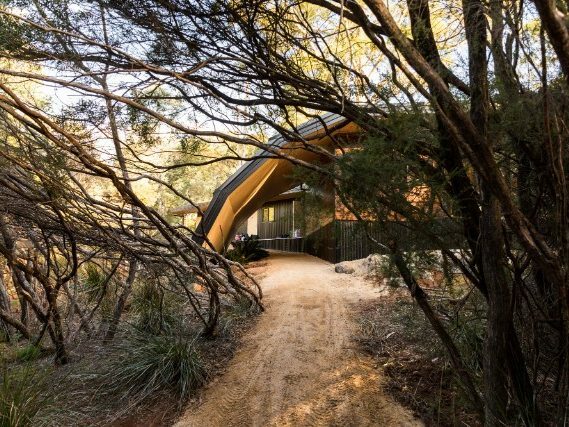 The BDPR hub building provides adventurers with a space to relax and rejuvenate, incorporating communal amenities for dining, staff accommodation and bike storage. 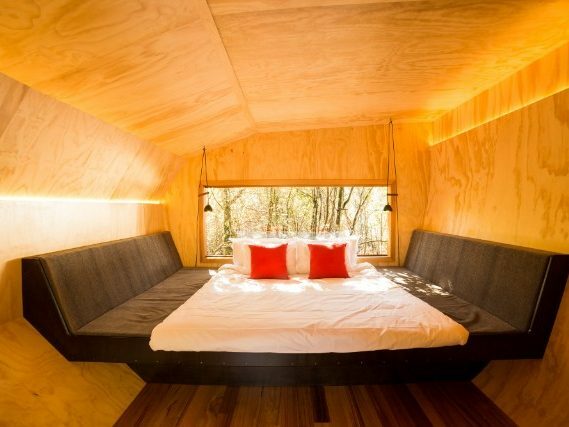 The pods offer a sleeping space, wrapping the user in a protective shell for an immersive wilderness experience.